Background/Info: In 2017 Delerium will celebrate their 30th anniversary. 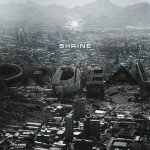 What originally started as a side-project by Frontline Assembly members Bill Leeb and Rhys Fulber progressively evolved towards an international recognized formation. 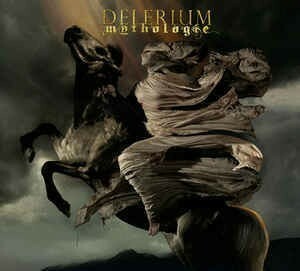 Delerium progressively moved into an ethereal-electronic sound mixing sensual trip-hop rhythms together with Gregorian chants and later on heavenly female voices. Their newest opus also is the first one released on Metropolis Records. Content: “Mythologie” remains faithful to the sound-formula Delerium ever created for “Semantic Spaces” (1994). The songs are driven by slow cadences injecting this delicious, sensual feeling while recovered by low, resonating bass lines and impressive astral synth layers. The multiple piano arrangements sound like the finishing touch to this evasive opus. You indeed feel like transposed among the stars listening to the angelic voices of five different female guest singers. Mimi Page is the main vocalist who was featured on four of the 12 songs. The common point between the singers is their transcendental power to get you into pure reverie. It sometimes becomes pretty cinematographic and I often get the feeling that the music has been composed to reinforce the magic of the vocals. + + + : “Mythologie” is an album in the purest tradition of Delerium. It’s not really into innovation, but it reveals a terrific, high-tech sound production and brilliant vocal parts. I also have to say a word about the lyrical content reflecting poetry and meaningful subjects about live and love. Delerium has created a very unique sound, which is accessible for a wider audience. The mix between ambient, ethereal and electro-pop is pure chemistry. – – – : All the releases after the visionary albums “Semantic Spaces” and “Karma” never reached the same level of magic and that’s probably the main point that hurts. “Mythologie” is a beautiful album –and even better than some previous releases, but the magic is a bit gone and especially there when some passages are maybe a little less commercial-like. Conclusion: If you’ve some doubt about the existence of angels you’d better listen to Delerium who makes them sing on the cadence of a sensual slow rhythm and the dreamy atmospheres of electronics. Best songs: “Zero”, “Ghost Requiem”, “Angels”, “Blue Fires”, “Keep On Dreaming”. 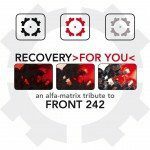 Front 242 gets unexpected 32-tracks tribute from their label Alfa Matrix - listen to the first exclusive previews!